Camarillo Truck Accident Injury Lawyer - Over 40 Years of Experience You Can Trust! Were You or a Loved One Injured in a Truck or Car Accident in Camarillo? Our Camarillo truck and car accident injury attorneys and law firm offer aggressive and compassionate legal representation for the injured victims of truck accidents, including victims of crashes with truck tractors and container trailers, and for the families of the victims killed in devastating crashes or for wrongful death claims in Camarillo, a city located in Ventura County, California. Having 65,201 inhabitants, Camarillo is a city rich in history, initially being claimed for Spain by the first European to land in California, Portuguese navigator Juan Rodriguez Cabrillo. Camarillo later became a land-grant settlement for Mexicans who ended up taking control after their independence from Spain. Today, Camarillo is an agricultural town with numerous farms, containing orange, lemon and walnut groves. 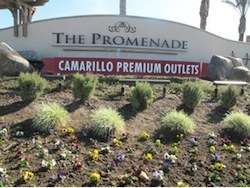 Camarillo also has the Camarillo Premium Outlets, which is a huge shopping center with many designer brands, for those looking to spend a full day shopping and finding fashionable clothing for a great value. Camarillo is neighbored by Thousand Oaks to the east, Simi Valley to the northeast, Oxnard to the west and Port Hueneme to the southwest. Famous people who live or have lived in Camarillo include Kaley Cuoco, Scott Fujita, Bobby Kimball, Mad Mike, Duncan Renaldo, Emil Sitka, Patrick Warburton, Jason Wade and Yellowcard. Motorcyclists are often very hard to notice until you hear their motorcycle engine close by just as they pass you in between the lanes. Drivers must keep an eye out for motorcycles and make sure they do not carelessly switch lanes without double checking their side and rear view mirrors. Truck drivers would have an even harder time detecting motorcycles, especially truck drivers of commercial vehicles that already have a hard time seeing cars that are driving on the adjacent lanes. Motorcyclists have a tendency to drive past vehicles in between lanes, which means that truck drivers should try to be aware of the vehicles further behind them to spot the motorcycles way before they are driving close to the trucks. If truck and car drivers can expand their awareness beyond the vehicles nearby, many motorcycle injuries can be avoided, which would eliminate serious injuries and deaths, given the vulnerability of victims on a motorcycle. A tibia plateau fracture is a shinbone fracture that can occur from a Camarillo auto accident. If the fracture is minor, it may only be limited to the tibia but more serious ones affect the knee tissues, requiring surgery. To manage the injury early, traction is required, followed by a Schantz pin insertion and if there is a severe fracture, treatment may also include a Buttress Plating and Lag Screw fixation. Please contact us now, including for referrals to doctors who may provide treatment without a request for payment until the claim is resolved, if you or a loved one sustained a elbow fracture injury from any truck collision or other personal injury accident in Camarillo, Los Angeles or anywhere in California. The Law Offices of Gary K. Walch, A Law Corp., provides you with the strong advocacy that you need, along with understanding and compassion, when you or a loved one has gone through a devastating truck collision or other injury accident in Camarillo or anywhere in California. It is our duty to aggressively pursue your rights and best represent your interests. Our lawyers handle accidents involving truck, train, bus, motorcycle, bicycle, car, uninsured motorist (UM), hit and run, pedestrian and much more.